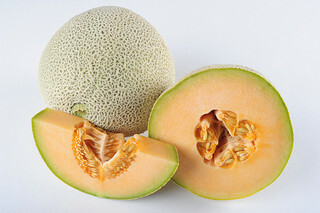 After pleading guilty to misdemeanor charges in October related to their role in the 2011 outbreak of listeria that killed about three dozen people, two cantaloupe farmers were sentenced to five years’ probation yesterday. That sentence includes six months in home detention. The Jensen brothers of Jensen farms will also have to complete 100 hours of community service and pay $150,000 in restitution, reports CNN. Each of the men apologized in court to the families of the victims. “This has been a huge tragedy. We are very, very sorry. We hope it leads to better understanding of food safety,” Eric Jensen said. So why did they get probation? Prosecution pushed for that sentence because the brothers willingly cooperated and met with congressional investigators and relatives of their victims, Colorado U.S. Attorney John Walsh said in a statement. The outbreak was the deadliest the U.S. has seen in 100 years, killing 33 people and sending 110 others across the country to the hospital after eating the tainted cantaloupes. The FDA believed that puddled water and dirty packing equipment were to blame for the outbreak.